Not the usual Sinigang that we know. 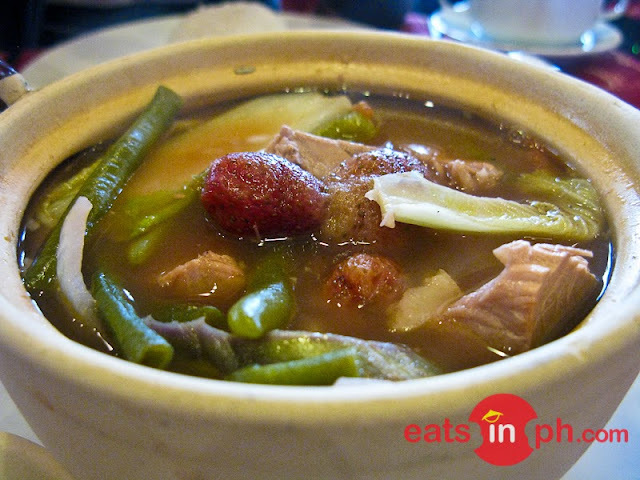 Zenz Bar and Restaurant's Stawberry Sinigang is sweet and has the perfect blend of sour taste. What makes it unique is the sweet-tangy and fruity flavor added by the strawberry fuits to the broth. Guests can request for either pork, beef, shrimp or fish in their strawberry sinigang. Do not leave Zenz Bar and Restaurant whithout having a bowl of hot Stawberry Sinigang!